Brazilian Supreme Court Judge Rosa Weber issued a ruling on Tuesday calling for the temporary suspension and additional legal review of a highly controversial decree, which seeks to modify the definition of slave labor and changes the way corporations that keep their employees in slave-like conditions, may be treated. The proposed changes, which were presented by Brazil’s ministry of Labor Ronaldo Nogueira earlier this month, have received sharp international and domestic criticism. “Firstly, our constitution does not allow Minister Noguira to implement these measures. He is essentially trying to alter a legal concept that is already clearly defined in our constitution, which explicitly defines work that is considered analogous to slavery," said public attorney Roberto Ruy Netto with the Regional Committee to Combat Slave Labor. Previously, those who worked extremely long hours, endured forced labor, or were subject to degrading conditions were classified as slaves under article 149 of the Brazilian constitution. However, under the proposed changes, Frei Jean Marie Xavier Plassat, Coordinator of the Campaign against Slavery from the Pastoral Land Commission (CPT), warns that victims of economic servitude would only be considered slaves if their movement were restricted. “The ministerial resolution would limit the definition and scope of slave labor. Under the new proposals, in order to be considered a victim of slave labor, a worker would have to be physically confined and forced to work against their will,” Frei Jean Marie Xavier Plassat stated. According to Brazilian labor inspectors, the leading cause or condition of slave labor for urban and rural workers is degrading work conditions. In the case of rural workers, several slave-labor victims have been found sleeping with animals and livestock, without adequate access to food and hygiene, which represents a flagrant violation of dignified labor practices. 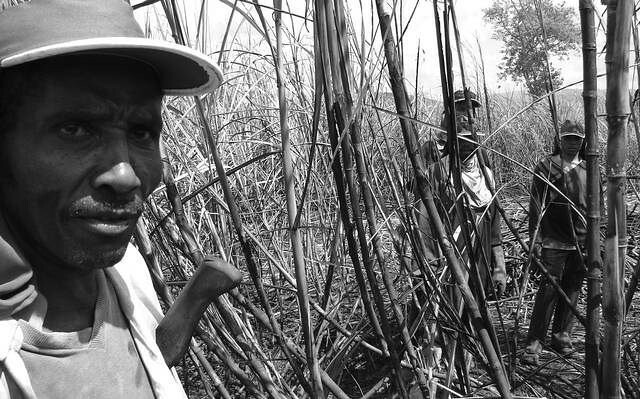 For Xavier Plassat the changes will narrow the scope of the definition of what is considered slave labor, which he argues is a strategy to dismantle Brazil’s existing anti-slave labor protection laws. “We need a robust, clear, modern and contextualized definition of slave labor because it gives us a variety of methods to identity and classify slave labor,” Xavier Plassat added. Brazilian officials have rescued over 50,000 people from working in slavery since 1995, with 10,000 of those between 2011 and 2015 alone, according to government data. Brazil has about 200,000 people working as modern-day slaves, according to the International Labor Organization. Since 2003, the Brazilian government has put an emphasis on trying to eradicate forced labor in Brazil. The government created a running list of companies with exploitative labor practices, also known as the "Dirty List," includes the names of companies that use slave labor. If after two years a company pays all its fines and proves that it has remedied working conditions, it is removed from the list. Blacklisted employers are blocked from receiving government loans and having restrictions placed on sales of their products. However, under the legislative resolution, judicial authorities can only penalize companies that are guilty of slave labor if they are identified on the government’s "dirty list".